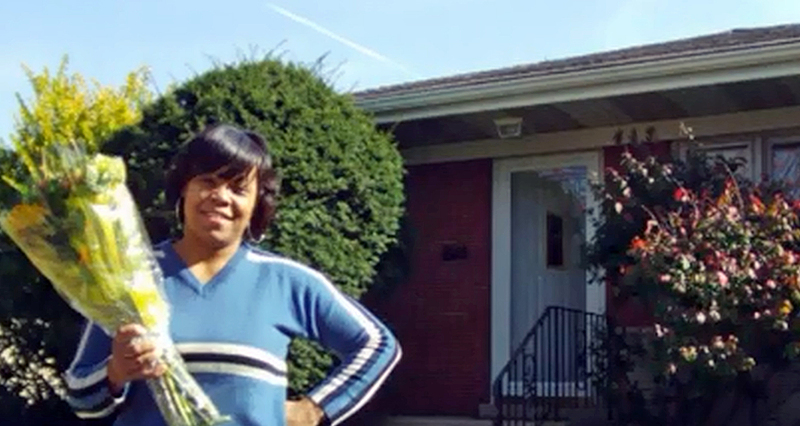 DO YOU WANT TO OWN A HOME AGAIN AFTER A FORECLOSURE? DO YOU WANT TO GET QUALIFIED FOR A HOME QUICKLY? Do you want to buy a home but aren't sure you are ready after a foreclosure? Have lenders told you that you need to establish new credit? Have you gotten conflicting advice about what to do after a foreclosure? 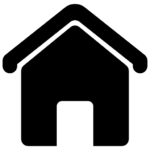 Are you ready to get started toward buying a home now? Do you want a good home loan, and don't want to repeat the mistakes of the past? STOP WORRYING ABOUT WHAT TO DO! THIS IS WHY THE "6 STEPS TO HOME" IS PERFECT FOR YOU! The "6 Steps to Home" program will give you a complete comprehensive plan to fix credit issues, create a down payment, and look your best with your income when you go to a lender for a loan. The "6 Steps To Home" program will also show you how to find a quality lender and show you how to make sure you don't get a bad "predatory" loan. 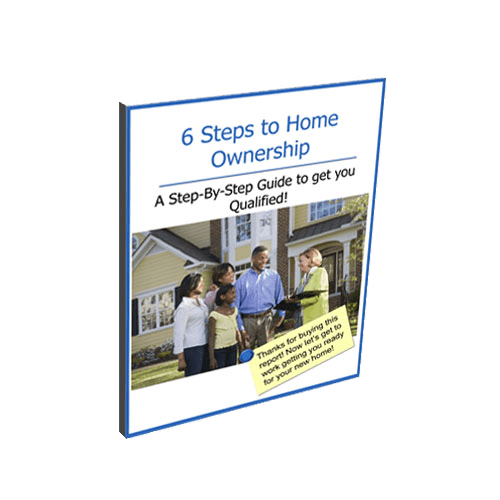 The "6 Steps To Home" is a MUST-HAVE if you are serious about getting qualified for a home. You will be introduced to the "6 Steps To Home" program. We will go over where you currently sit financially and what areas of your financial history we will need to work on. We will also teach you the areas that lenders care about when providing financing. We will finally collect all of your data so that you have a complete picture of where you are and where you will be when the 6 Steps To Home program is completed. In this phase, we will address every credit issue you might have. We will review your credit for issues and make a plan for each issue. We will also overcome the other side of the equation and build your credit with techniques that will not only increase your overall score but you will lear what it takes to build credit at virtually no risk i the fastest time possible. By the end of this module you will be well on your way to an extremely strong credit profile. Here we will build your down payment for your next home. This 6 Steps To Home module will show you several techniques to build a down payment from your current income or to build a down payment from other more creative sources. By the time you have finished this module you will have a comprehensive plan to build a strong down payment from several different sources. Finally, in this module we will cover income. We will discuss techniques to qualify for a home if you are on a fixed income, self employed, or have unusual circumstances. We will teach you how to properly complete income statements if you are self employed. You will also learn techniques to make it easier to show your income for smaller business owners. By this time, you will be ready for home financing! As a bonus, we will teach you how to choose a good lender. We will teach you what to look for in your loan terms to make sure you are getting a good loan. Finally, we will show you some techniques that will help you negotiate the last minute details that ALWAYS come up at your closing. The credit module of the 6 STEPS TO HOME series will help you get more than qualified for a home. Most credit repair lessons only teach you half of what you need to know. They focus on removing incorrect information from your credit report. That works if you have a lot of incorrect information, but what do you do if your credit is correct and just not good. You will never worry about your credit going bad after you complete this module. This program teaches you how to set it and forget it when it comes to getting qualified for a home. Perfect if you feel comfortable completing the legwork yourself! The techniques you will learn in this course have been tested with countless families. Many of them did not think they would ever own a home. These techniques work and they are legal and ethical! Any one of the techniques you learn in this course can save you thousands of dollars. More importantly, they can save you from making life-changing mistakes. The bonus information on how to choose a lender is worth the price of the entire course! By learning how to complete these steps you will become more financially literate. After you have taken this course you will have a better understanding of how to improve your financial situation. If you ever run into a financial setback, you will have a better understanding of your options and how to handle it! Even if your credit is okay, you still need a down payment to qualify for a home. This module will help you create an easy to follow plan that will create a massive down payment for you quickly. Even if you feel you don't have the money or know how to save, this plan will get you a down payment. When you finish this module you will know multiple ways to traditionally and creatively build a down payment. The techniques and programs you learn about in this course are available for use in all 50 states. They are not going away and many can be used over and over again so when you buy your next home you will have better knowledge! Creative down payment building techniques work extremely well. You will learn several in this course and in some cases, you will create a healthy down payment within hours. The techniques are not always widely known but they work. We have used these techniques for years to help clients quickly build a down payment. While some of the techniques in this course may seem complex, we discuss every step in the videos with website references and detailed instructions. This is a true do it yourself course and we provide you the tools to get the results you want! Everyone who enrolls in the course becomes part of our growing community. Here you can see how others with similar issues to your overcame their obstacles. Many of the families learn from each other and some say this is one of the best pieces of the course, being able to share experiences and successes! When you join 6 STEPS TO HOME you will have access to me. I have a 20 year career in helping families qualify for homes and I have worked with almost every situation out there. I can answer your questions and give you personalized responses to any issues that come up that are necessary for your progress in the course. The E-book gives you all the techniques you will learn in the video course as an easy to reference e-book. You can follow at your own pace and check back thru the book for additional points of reference. You will also get access to exclusive bonus videos that teach you how to find a good lender to work with as well as what to do to make sure you don't have any surprises before your closing. These important lessons can save you headache and money. JOIN THE 6 STEPS TO HOME PROGRAM AND BECOME A HOMEOWNER! I have wanted to buy a home for years! I did not know where to start and I spoke with several lenders. None of them seemed to want to help me so I found the (6 STEPS TO HOME) program and tried it out. I was impressed with the detail and ways they taught me to get get qualified. After 4 months of work I was ready to own a home! Here I am today, A NEW HOMEOWNER! We had been trying to buy a home for 2 years. We had gotten all the way to a closing only to have the deal fall apart. We were devastated! One night I found the 6 STEPS TO HOME website and we decided to give it a try. Some of the things we learned made so much sense, we realized why we had problems in the past. In less than 2 months we were back in a better position to close. We negotiated better terms on our new house and we closed without any problems! I have a good stable job but my credit took a major hit after I filed bankruptcy. I came across the 6 STEPS TO HOME program during my bankruptcy and decided to give it a try so I could eventually buy a home. I had to wait 2 years but the program worked so well, I closed on my new home 3 days after my 2 year waiting period expired. The lender said I did everything right and my loan process was pretty easy. I learned each step I needed to take from the (6 STEPS TO HOME) program and it made the entire process a breeze. 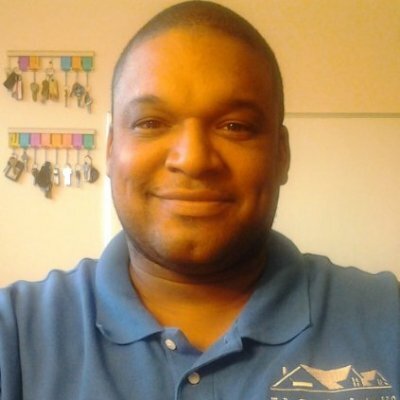 Arthur Veal is the founder of CanIOwn.com and the 6 Steps To Home program. He has run a successful real estate investment company for over 20 years helping countless families realize their dream of home ownership. After years of helping families in his real estate investment business he decided to teach his process to families outside of his real estate business and developed the 6 Steps To Home program. Since starting the 6 Steps To Home program he has worked relentlessly helping families across the country get qualified for homes, regardless of their current credit, income source, and down payment funds. His personal mission statement is to "Help families improve their financial circumstance thru education and technology". Arthur's brand, CanIOwn.com, has grown into the premiere source of home loan qualification education. Typically, getting qualified for a home loan is left for families to figure out on their own. 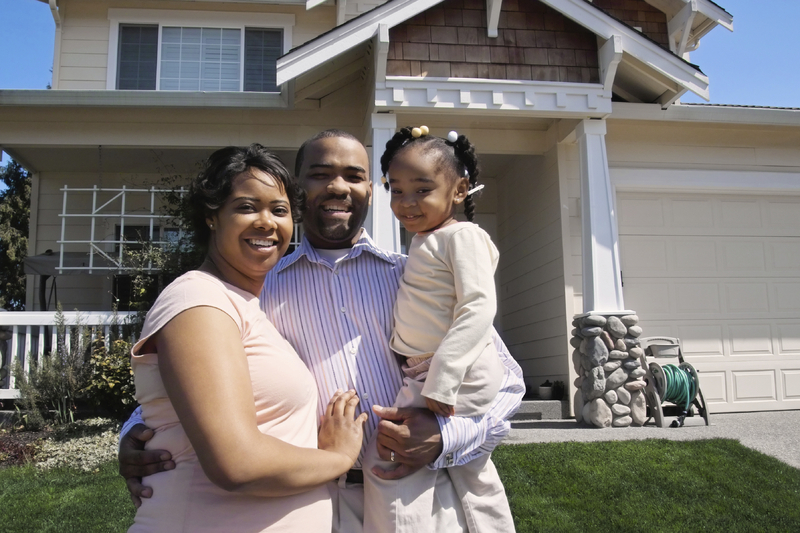 While other companies focus on just credit, or just down payment assistance, only CanIOwn has focused on the entire process including income into a complete program to help families make good financial decisions when pursuing the biggest investment in their life. CanIOwn is here to help you! NOT SURE IF 6 STEPS TO HOME IS RIGHT FOR YOU? CHAT WITH ONE OF OUR LIVE HOME QUALIFICATION TRAINERS. GET YOUR QUESTIONS ANSWERED INSTANTLY!